Tonight we had pastitsio - I made it using a recipe from Mark Bittman's "How to Cook Everything." I'm too lazy to type up the original so I found someone less lazy than me here. 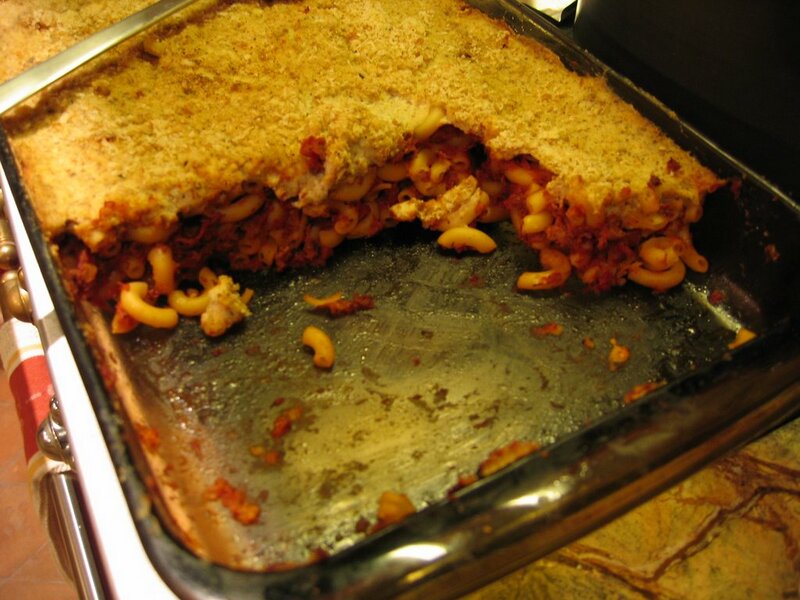 This wasn't a straightforward recipe to "veganize" - it has milk, eggs and cheese. For the meat sauce I used my homemade spaghetti sauce (I had some in the freezer). I'd made it with meatless meatballs and once you freeze it the meatballs fall apart and there you go - meat sauce. I used soymilk for the milk. For the eggs and cheese I made a batch of flax seed "eggs" (3/4 cup water blended with 1/4 cup flax seed) and some tofu ricotta (mixed firm tofu with granulated garlic, nutritional yeast, salt, some lemon juice). 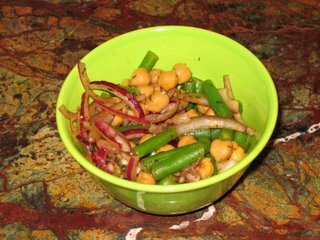 We also had a salad I made from The Mediterranean Vegan Kitchen - garbanzos, red onion and green beans. Good stuff.